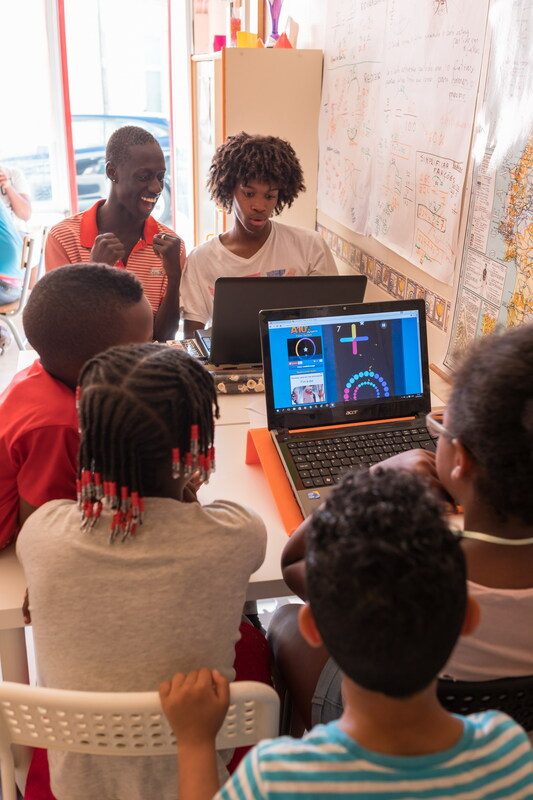 This after-school centre in Portugal, supported by AKF, welcomes children ages 6-12 and helps them with learning and school achievement. Portuguese preschool teacher Joanna Sousa, noticed for her skills and commitment, completed an AKF-financed Master's in Early Childhood Development. When young Lisbon resident Rute had the idea to create an after-school support centre, AKF’s urban community support programme, K’Cidade, helped her with filling in the necessary paperwork to obtain a location from the municipality. The centre now welcomes children ages 6-12 who often have a lack of learning support at home and helps them with their studies. Planning for an Aga Khan Academy in Portugal is underway. 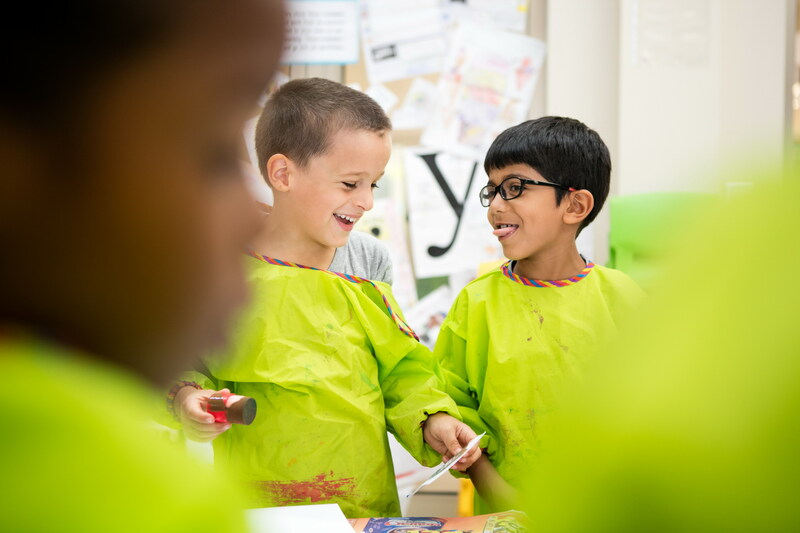 The Aga Khan Academies which follow the International Baccalaureate curriculum, are dedicated to increase access to an education, from pre-school to secondary school, with international standards of excellence. 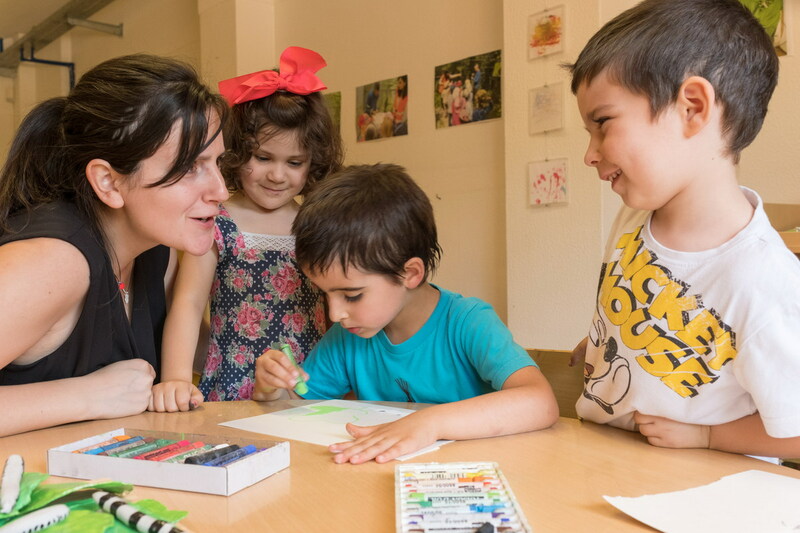 Portuguese preschool teacher Filipa Passos will soon enhance her skills in child-centered pedagogy by completing an AKF financed Masters. The Aga Khan Foundation is building a network of learning communities that seek to influence quality improvement in the practices and achievement of all schools in the country. Education is one of the priorities of the Aga Khan Foundation as it is fundamental to the well-being of individuals, communities and nations. For that reason, the Foundation develops interventions that value networking, partnerships and long-term commitments. To help improve the educational system, promote greater student learning achievements and reduce school drop-out rates, the Aga Khan Foundation (AKF) seeks to include the principles of participation and equity in the professional development of education professionals. The main objective is to improve the environment, integration and educational success of all children and young people from pre-school to secondary education, as well as to promote inclusive practices that value diversity and the development of positive relationships among all. These elements, including building networks, helps lead to successful transitions between school cycles, and likewise from education to the job market, which in turn contributes to greater social and economic inclusion. AKF has developed a set of pedagogical tools (Tool-box) that enables teachers and school administrations to provide children with an education focused not only on core curriculum but also on soft skills and multiple literacies with pluralist outlook and ethics, advocating learner agency and lifelong learning awareness and motivation. Already working through the Ministry of Education in 600 schools, AKF is now forming a network of learning communities that would influence quality improvement in practices and school outcomes of the country’s schools. This intervention seeks to promote equity and participation in pedagogical contexts, fostering the growth of a society with more dialogue and inclusiveness. The Aesthetic and Artistic Education Programme is an initiative of the Ministry of Education, with the support of AKF, Calouste Gulbenkian Foundation and the Organization of Ibero-American States. The project promotes the arts and culture in the school universe and it also intends that children, teachers and families develop a taste for art, create cultural habits and value art as a form of knowledge. Intercultural Schools Network & Stamp – This project developed in partnership with AKF, Ministry of Education and the High Commission for Migration, aims to promote change processes to deepen intercultural competence within schools. It intends to distinguish public, private or cooperative educational and educational establishments that, through their educational projects and practices, promote the recognition and appreciation of linguistic and cultural diversity, as an opportunity and source of learning for all . ECD Olivais Sul Centre, together with the Catholic University, have created a Master’s programme in Lisbon and a Post-graduation course in Porto. Herewith, AKF aims to address systems, professionals, families and communities’ transformation grounded in participatory pedagogies and learning environments valuing diversity and innovation. The educational programme of the Aga Khan Academy strives to create skilled learners and ethical leaders who will go on to the best universities anywhere in the world, pursue careers of their choice, and build and lead the institutions of civil society in their countries and across the globe. In 2000, His Highness the Aga Khan initiated a programme for the establishment of an integrated network of schools, called Aga Khan Academies, dedicated to expanding access to education of an international standard of excellence. The Academies, which will educate young men and women from pre-primary through higher secondary education, are planned for key locations predominantly in Asia and Africa. The first such school, the Aga Khan Academy, Mombasa, began operating in August 2003. Planning for an Aga Khan Academy in Portugal is underway. The Aga Khan Academies which follow the International Baccalaureate curriculum, are dedicated to increase access to an education, from pre-school to secondary school, with international standards of excellence. Access to the Academy will be based on merit rather than on families’ financial capacity. An Aga Khan Academy in Maputo – the first in a Portuguese speaking country - began operations in August 2013. Professor Manuel Braga da Cruz and Firoz Rasul exchange agreements after the signing of the Memorandum of Understanding between the Aga Khan University and the Catholic University of Portugal. In July 2008, the Aga Khan University and the Portuguese Catholic University signed an agreement of academic collaboration as part of their efforts to foster international understanding and scholarly cooperation between diverse cultures and faiths. This was renewed in 2013. Areas of collaboration between the two universities will include culture, law, religion, ethics, health sciences, education and human development through joint research, training initiatives, and exchange programmes for faculty and students. The partnership between the two Universities conveys a collective commitment to go beyond common boundaries and to build bridges between diverse faiths and peoples by connecting different parts of the world together through the universal language of scholarship. The partnership is an opportunity to address shared concerns, identify common interests and foster greater understanding on issues of global concern.